By buying this product you can collect up to 29 loyalty points. Your cart will total 29 loyalty points that can be converted into a voucher of ₹ 7.25. 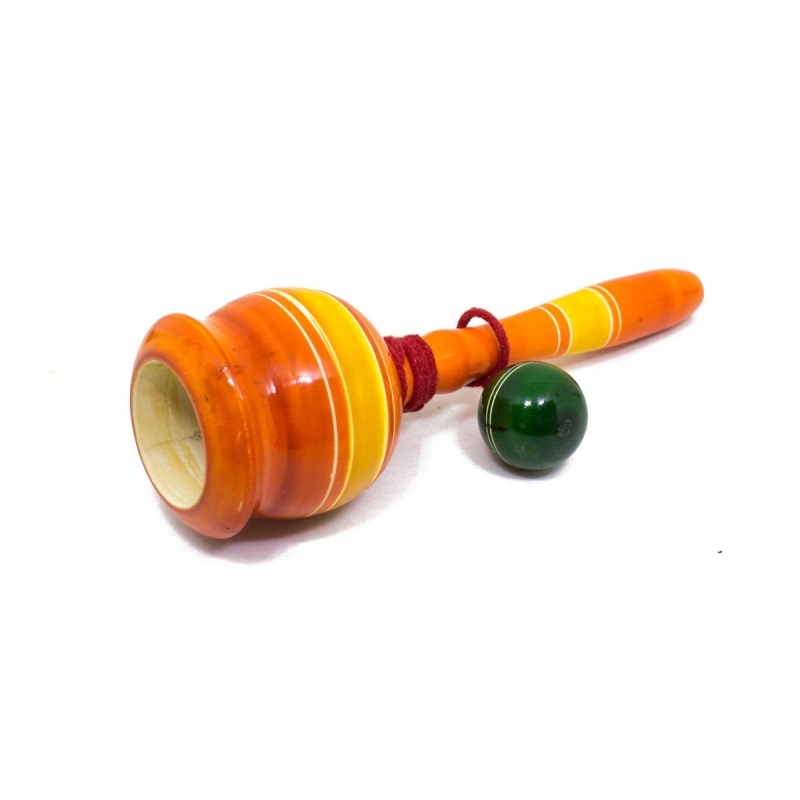 Wooden Cup n Ball game for all age group. Test your precision validity while having fun. Addictive game, ideal to refresh your mind. Purely made of Alamara wood. Smartly crafted by skilled artisans from channapatna. Relax your mind from the daily stress by spending your time with this cup and ball game that will refresh your mood and revitalize your mind. 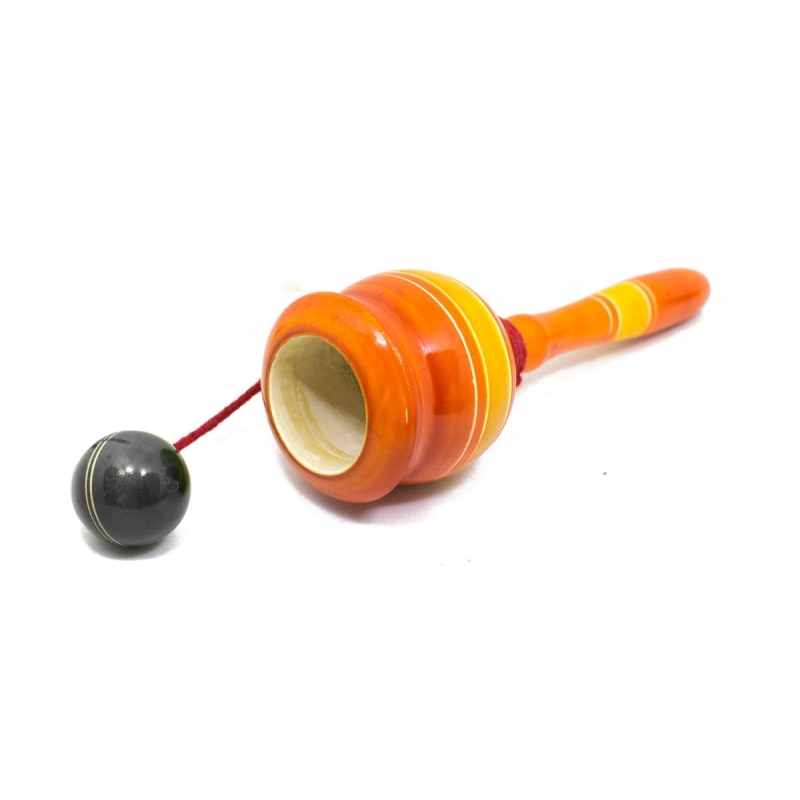 The arrangement has a handle with cup to the neck of which, tied a wooden ball with optimum and adjustable length chord, where you need to catch the ball into the cup with balancing movement.